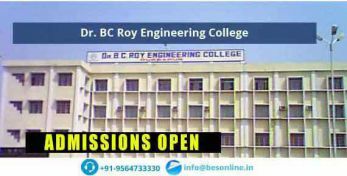 RCC Institute of Information Technology, Beliaghata, also known as RCCIIT is one of the top rated IT educational institutes in the eastern part of the country. it is a self financing engineering college, which was established in 1999 with the collaboration of Ministry of Information Technology, Government of India and Department of Higher Education, Government of West Bengal. The college has also been funded by the World Bank, which makes it even more prestigious. It aims to cater to the needs of higher education in the IT field, producing engineers and professionals to meet up the global demand of the IT industry. The college is reputed to make use of the latest tools and techniques to equip the students with comprehensive knowledge across IT disciplines. RCC Institute of Information Technology combines state of the art infrastructure with the best teaching aids and expertise of qualified and experienced teaching staff. This ensures that the students have the opportunity to tap these resources and become knowledgeable, confident and self reliant professional leaders of tomorrow. Also, it has been regarded as a center of excellence in the field of engineering education and research. RCC Institute of Information Technology Kolkata is a government aided institution, sponsored by the Government of West Bengal. It also has received the affiliation of Maulana Abul Kalam University of Technology.